Our monthly autism-friendly family swimming sessions at the Rivermead Leisure Complex in Reading will now all take place on Saturdays. Due to operational changes at the leisure centre, it is no longer able to offer us sessions on Sundays. The change takes effect from next month, with the session previously planned to take place on Sunday, May 7, being switched to Saturday, May 13, between 4pm and 5pm. Future sessions will be held on the following Saturdays: June 3; July 8; August 5; September 2, October 7 and Saturday, November 4. 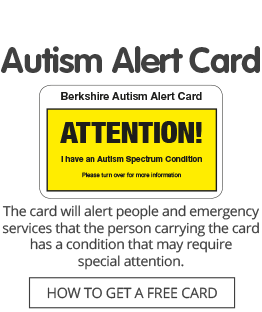 You do not need to be a member of Autism Berkshire to go swimming and sessions are open to families living with autism throughout Berkshire. Advance booking is essential and places are limited. Please ensure you provide details of how many adults and children will be attending each session to ensure sufficient lifeguards are on duty. Our family swimming sessions are funded by the BBC Children in Need appeal.